The formation of Chesil Beach has faced a lot of discussion over the years and is still the subject of continuing debate. Continuing research yields further insights into the origin of the material that forms the beach and how it was transported to its current location. This page presents a summary of one current view suggested by Malcolm Bray of Portsmouth University, a member of the Fleet Study Group. Chesil Beach initially formed from predominantly sandy deposits in Lyme Bay as water levels rose rapidly at the end of the last ice age 20,000-14,000 years ago. These deposits were eroded and the sand and gravel driven onshore as a barrier beach. As the barrier beach was driven further east by rising sea levels it overrode existing sediments and the Fleet was formed starting about 7000 years ago. The formation of the Fleet was virtually complete by 5000 years ago. Sea levels stabilised 4000-5000 years ago and at that time Chesil Beach stood close to its present position. It was predominantly sandy with layers of shell and coarser material indicating over-washing by the sea. At this time relict cliffs in East Devon, left stranded by falling sea levels during the ice age, were re-activated and the combination of re-working of extensive debris aprons and erosion of existing cliffs yielded large quantities of gravel. Estimates suggest that as much as 60 million cubic metres of gravel could have been supplied. This material was transported to Chesil Beach by longshore drift via a series of pocket beaches. 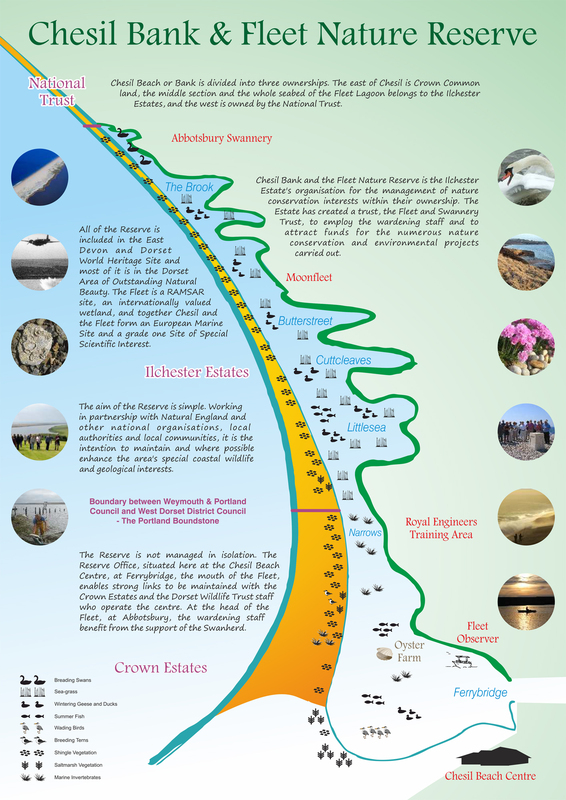 Chesil Beach must now be regarded as a closed shingle system with no replenishment from outside sources. It is therefore sensitive to environmental changes such as rising sea levels. 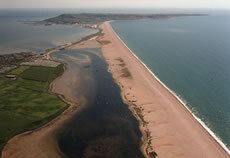 Ian West has suggested that Chesil Beach at Portland is moving eastward at around 15cm per year, with a much slower rate further north towards Abbotsbury.